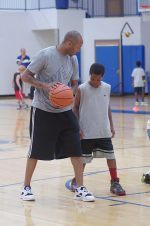 What makes effective youth basketball coaching? The little things. Running an efficient, well-organized, productive practice session comes down to focusing on a few simple things. Youth basketball seasons are pretty short, usually lasting only about 8 weeks or so. And with only 1-2 basketball practices a week, you need to maximize every minute on the court. Knowing what to teach your players during your limited time together is one concern. But how you're going to do it is another thing. Here are 15 tips I've found helpful running effective practices. This is a biggie. You're dealing with a lot of working parents whose schedules are jam-packed. Respect their time. Also, respect the players that come on time. It's not right for those players who are on the court ready to go, to have to stand around and lose precious playing time waiting for their teammates to arrive. I never wait more than 5 minutes past the scheduled starting time to begin practice. If you make a habit of starting late, you train your players to come late. Honor the ending time as well. Families have other responsibilities and have planned around your practice. 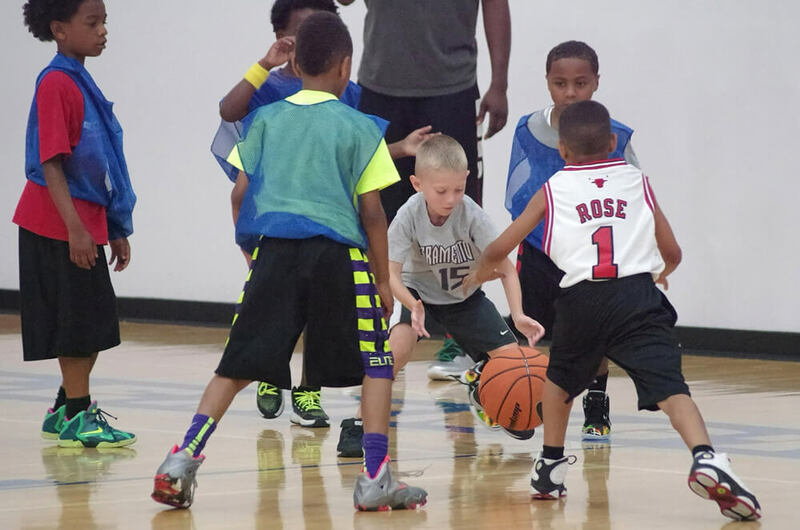 For kindergarten and early elementary basketball players, practice should never exceed an hour. If you run your practice efficiently, you'll be able to get a lot done in that amount of time. You'd rather have the kids leave wanting more than have them dying to get out of there. As players get older, I still don't think practices exceeding 2 hours are necessary. It's hard to maintain focus and energy for longer than that. Typically, around an hour and a half is sufficient with a well thought out practice plan. Kids want to be noticed. Greet them all as they arrive and set the tone for a great practice through your excitement and enthusiasm. Let each player know you're glad to see them. Find times throughout practice or before they leave to touch base with each one. Players respond better when they know you care about them. It's really important that every player listen quietly while you talk. You have information they all need to hear. At the whistle, I have everyone freeze, "give me their eyes and ears," and wait for instructions. Disrespect and talking while coaches talk must not be tolerated. Make sure all players are in front of you, facing you, so they can see and hear you clearly without distractions. Whenever possible, I position myself so players face away from doors or groups of people, so they can give me their full attention. I'm always surprised how quickly an hour goes. It takes intentional planning to use time efficiently. Just showing up and winging it won't cut it. To make the most of your team's practice time on the court, have a workout plan. And a watch. A lot of time gets eaten up during water breaks, transitioning between drills, and standing in line. Find ways to minimize these time wasters. Set a time limit at every break and start back on time. Emphasize hustling between drills. Structure drills to minimize players waiting in line. Make use of every possible goal and ball to give players as many repetitions as possible and minimize wasted time standing in line. Use every available parent or volunteer that's willing to help to give kids more individual attention and playing time. I don't allow anyone to sit down during practice. Everyone is up and ready to go. Select age-appropriate drills to make sure players are successful. You might have to modify them by adjusting shooting distances, time limits, number of made shots, etc. Keep an eye out for kids who are having trouble, and look for opportunities to build their confidence. Work hard to help every single player have a positive experience. Kids want to move and have fun. Choose fun drills and basketball lead-up games to make practice exciting. One way to create a fun basketball workout environment is by pumping in some upbeat workout music. Even if it's just for a short period of time, like during warm-up, it's fun to see the extra spring in your kids' steps and the smiles on their faces. You only have a short time with these kids. Make sure it's a positive experience for them. Check out some great motivational quotes to share with your athletes. When you're introducing a new skill, don't assume kids understand your verbal instructions. They need to see what the skill or drill looks like. Teach it first by breaking the skill down into a few simple coaching points. And then demonstrate how to do it. When you finish showing and telling, give players a chance to practice the skill. They certainly won't master it at first, but give them enough tries so they at least get the general idea. Careful with this one. At this stage, if you try to correct every single mistake that's made, the kids will never get to play. Point out the "biggies" as soon as the errors are made, but sprinkle in some positive comments as well. When giving feedback, I find visuals are much more effective than words. I like to show players what the correct skill should look like, and then demonstrate how they executed the skill. They can usually see the difference. Once the players have had a chance to successfully perform an isolated skill, start introducing drills that incorporate several skills at once. Basketball games are not static. They are dynamic, constantly changing environments, and it takes time and lots of practice for players to learn to make decisions and perform skills in pressure-filled game-like situations. Though it's a good idea to introduce young players to what a full-court game looks like before their first competition, I wouldn't spend a whole lot of time playing 5-on-5 because it doesn't give players enough time with the ball in their hands. To make the most of your limited court time, I recommend 1-on-1, 2-on-2, and 3-on-3 drills. These combinations give kids a lot more opportunity to be involved in the action and work on their fundamentals while still giving them a game-like atmosphere. When it comes to kids basketball plays, keep it simple. The goal at this stage is to learn the fundamentals of the game. Players aren't ready for complex offensive and defensive schemes. During competition, most of the mental energy of young players is consumed just trying to perform new skills. They're trying to remember how to dribble, pass, and shoot. They don't have a whole lot of mental energy left to try and remember complicated youth basketball plays. I highly recommend teaching a simple motion offense where players learn to move without the ball, set screens, and balance the floor. With just a few basic concepts, your basketball offense can have the structure it needs without being too complicated.